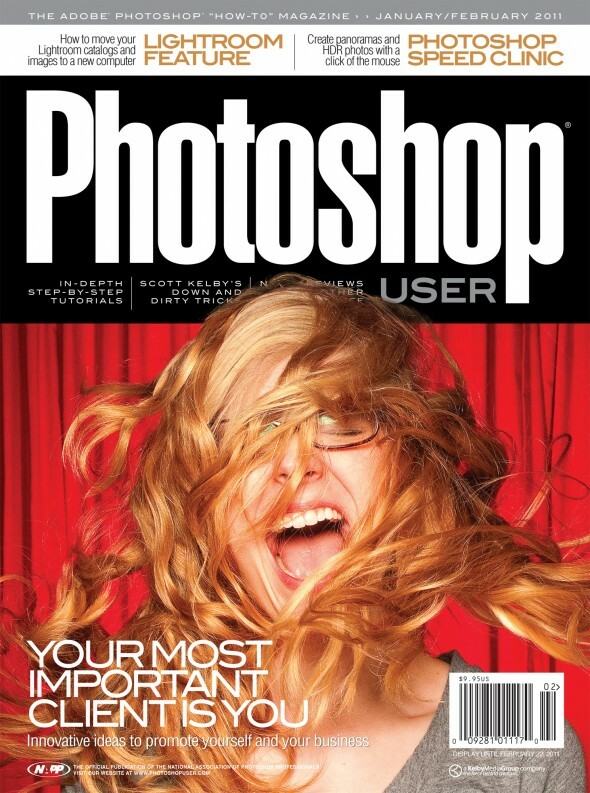 The cover of the Photoshop User magazine Jan/Feb 2011 issue featuring an image by Todd Spoth. I have been a NAPP (National Association of Photoshop Professionals) member for years now and have enjoyed the benefits greatly. The guys over @ NAPP work hard at creating the most thorough training content for creative professionals using Adobe software. If you need to know how to do something in Photoshop, Illustrator, Lightroom, Bridge, et al, they know how to get it done. Like many of the professional organizations I belong to, I probably only use a fraction of the member benefits, but my favorite is the free 3-day shipping on every order from B&H photo. If you’re anything like me, you are frequently placing orders for this or that with B&H (one of the largest and best photo/video/audio retailers in the country). Being a NAPP member not only gives you complimentary shipping on every order, but upgrades it to 3-day rather than UPS ground. This benefit alone has made my membership worthwhile. Check out the NAPP website at http://photoshopuser.com. I have been an Adobe Lightroom user since its beta release in 2006. Back then I was trying out Apple’s counterpart, Aperture, as well as Lightroom and ultimately decided on Lightroom. It was just a lot easier to use. The most recent release, Lightroom 3, has made my life a whole lot easier. The things you can do with the software is amazing. Mike interviewed me about my usage of Lightroom and some of my basic theories concerning my approach to photography. 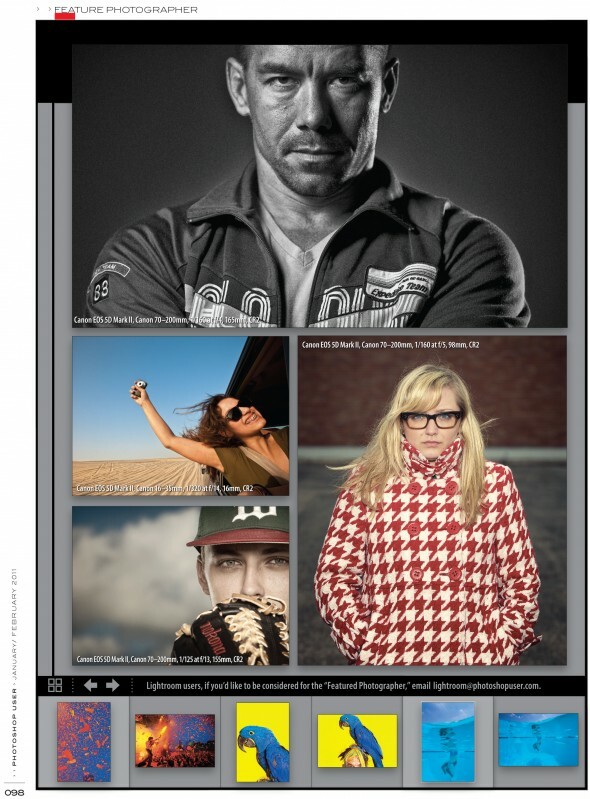 The resulting interview, bio, and image gallery can be seen in a multi-page feature in the January/February issue of Photoshop User magazine. The issue should arrive to NAPP members this week, and hitting the shelves around January 4th according to the NAPP team. I always see the magazine front and center at places like Barnes & Noble, Borders and other places magazines are sold, so pick one up if you can! To read the actual bio and interview text simply click on the image of the spread below or click here. 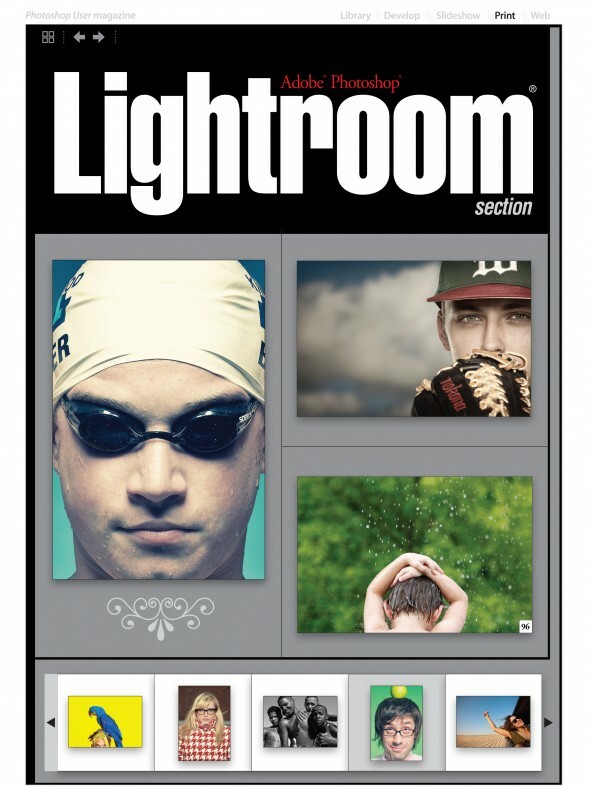 The cover to the special Lightroom section featuring images by Todd Spoth. Photoshop User magazine has a special Lightroom section, which is where my feature can be found. A selection of my images are on the Lightroom section’s title page (seen above) and the actual feature is comprised of a two page spread which includes a short bio, the short interview, another batch of images, as well as an additional page featuring a few more images (seen below) The actual design of the spread is meant to look like the layout of Lightroom itself, complete with basic camera settings for each of the highlighted images. The main, two-page spread featuring a bio, interview and photos by Todd Spoth. An additional page featuring more photos by Todd Spoth. In addition to being featured in the issue, I was surprised when just a few days ago, when I received my own physical copy in the mail, that they had chosen one of my images for the cover as well. The interesting part is that the cover image was actually not taken with one of my expensive SLR bodies, but my point-and-shoot Canon G9, which has since been sold. Oh the irony! Regardless of the tools that captured the moment, I think the image looks great. I initially sent Mike and the guys over at NAPP about 30 or so images to choose from, so the final selection of images was ultimately left up to their team. Below is a short digest of the images they chose for the issue and links to their respective blog posts. There were several other, smaller, images the guys chose to fill out the thumbnail bar towards the bottom of each page, but the main images are all detailed below. 1. Portrait of Libby Johnston taken with the Canon G9. See “THE RED CURTAIN”. 1. Portrait of Kingwood High School swimmer, Matt Barber. See “FUTURE OLYMPIAN?”. 2. Portrait of MLB pitching prospect, Jameson Taillon. See “JAMESON TAILLON”. 3. “Favela Boys” from my 2008/2009 essay on Rio de Janeiro. See “BRAZIL”. 4. Portrait of “The Dog Whisperer”, Cesar Millan. See “THE DOG WHISPERER”. 1. Portrait of Shawn Welling, filmmaker, dancer, choreographer and painter. See “MORE PORTRAITS”. 2. Portrait from the deserts of Qatar. See “DESTINATION: QATAR”. 4. 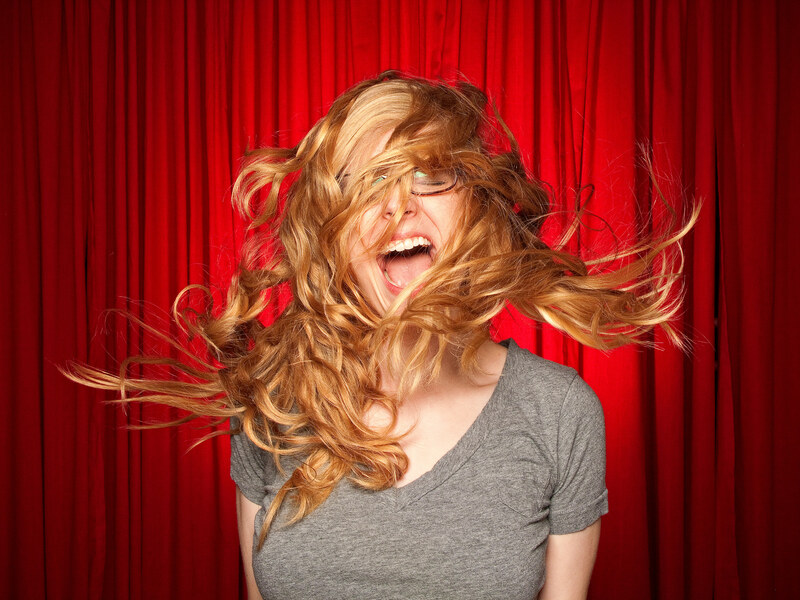 Portrait of friend and fellow photographer, Adrienne Byard. See “ADRIENNE & ELIZABETH”. The images of the spread above were from PDF’s, I did manage to scan a few more of the pages of the issue, where my images are shown. Since the images below are direct scans as opposed to the PDF’s seen above, I used Photoshop to clean the scans up and make them look presentable for the blog! Go Photoshop! Ha. 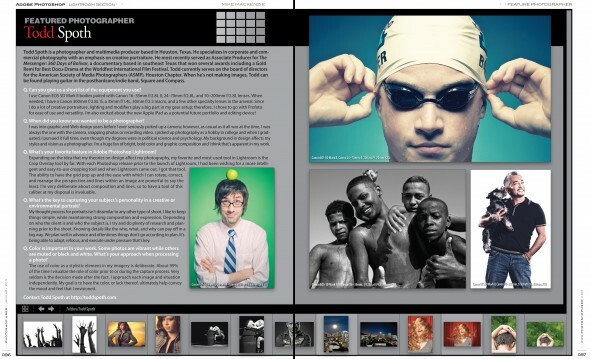 Table of contents page featuring photos from Todd Spoth. 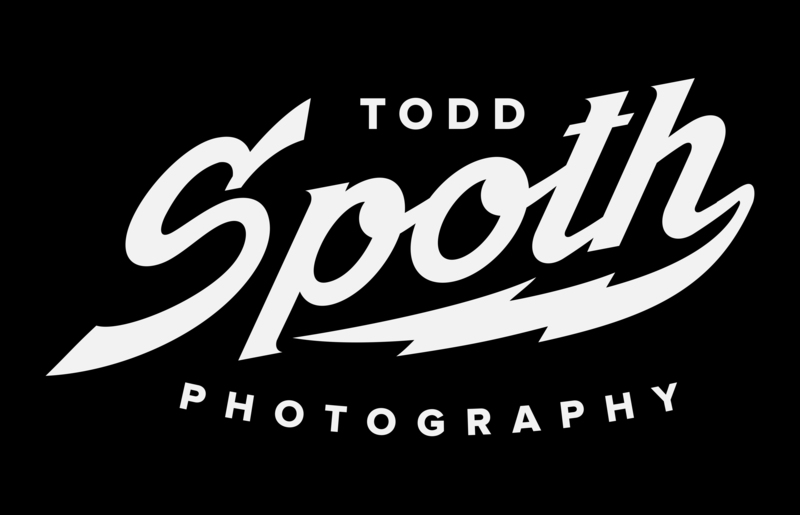 About page featuring photos from Todd Spoth. 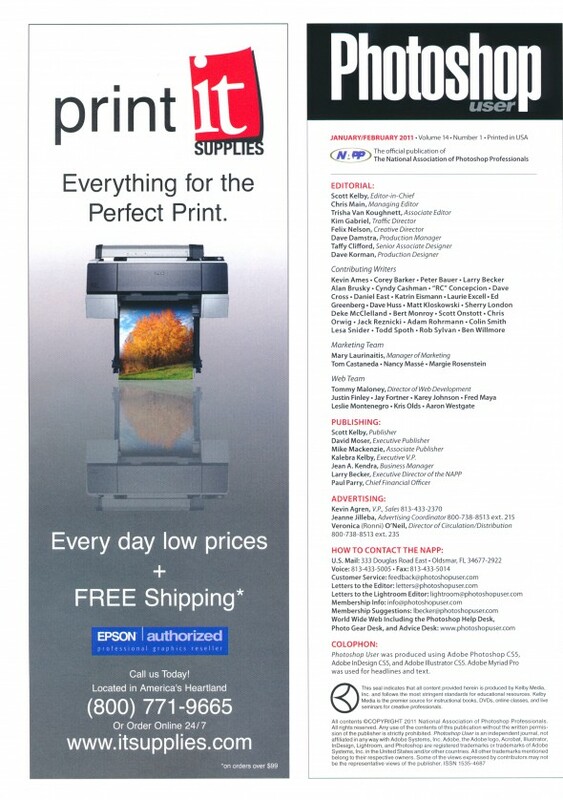 Masthead page where I am listed as a contributing writer.